"The Indians for whom the county was named—the Cherokees—joined by Delawares, Shawnees, and Kickapoos, began settling north of the Camino Real (the Old San Antonio Road) about 1820. "Anglo-American settlers began moving onto land claimed by Cherokees near Linwood in the late 1820s. Indian hopes suffered another blow when in 1826 David G. Burnet obtained an empresario grant to lands north of the Camino Real, and the area south of the road fell to empresario Joseph Vehlein. "Rapid settlement began in 1834. ... the increased encroachment of settlers on Indian land led to violence. 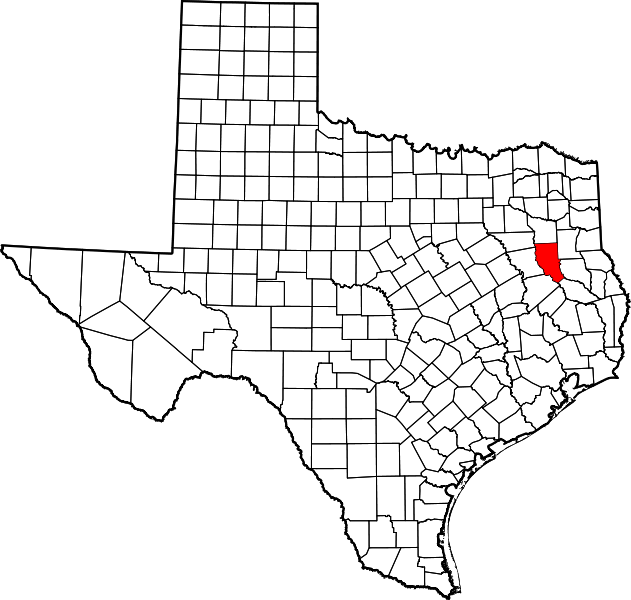 "Cherokee County was marked off from Nacogdoches County on April 11, 1846, and was organized on July 13 of that year, with the town of Rusk as the county seat. Only one family lived at Rusk then." Rusk is the eastern terminus of the Texas State Railroad, which operates tourists trains between Rusk and Palestine, a distance of about 25 miles. I visited Cherokee County and photographed the courthouse in Rusk on Saturday, March 24, 2012.